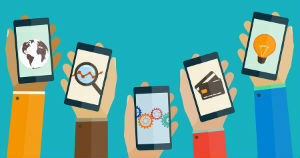 Mobile Payments: What Options Are Out There? Mobile payments are getting more and more popular worldwide, and it is vital for businesses to offer mobile payment options when it comes to their international strategy. Mobile payments are transactions made or received on a mobile device, and there are four main types of mobile payments around. They are predicted to make up 45% of all ecommerce sales in 2020: it’s time to find out more about them! These are tools that allow users to easily buy items online, by setting up an account attached to a credit card. The digital wallet usually remembers the credit card details, so that you don’t have to re-type them every time. Digital wallets often have an app version that works on mobile, and they are easily added to any website using code. Some of the most popular international digital wallets you might have heard of are PayPal, Alipay and Yandex Money. Mobile wallets are similar to digital wallets, but they only work on mobile. They store the user’s payment details, and they are a great way to pay online. However, some mobile wallets only work with certain apps. The good news is that they can sometimes be used in physical shops too, where these have near-field communication devices. Some of the most popular digital wallets are Apple Pay, MobilePay and WeChat Pay. Mobile money differs from the options we have explored so far, in that it is not bank or credit card based, but topped up by users whenever they need to make a payment. This is particularly good for developing countries which have low credit card penetration. Many of these mobile money systems also allow users to make payments on websites; paying with mobile money on a website is very easy: the phone number is entered in the relative field and the mobile money account is debited by the amount specified. Setting up a mobile money account is also very easy: you need to register, send a form of ID and… job done! Some of the most popular systems in this category are Orange Money, Airtel Money and MTN Mobile Money. Mobile point-of-sale, also called mPOS, transforms a mobile device into a card reader, allowing merchants to accept payments on their phone. mPOS can work in different ways: in some cases, you download a specific app on your mobile phone, in others you get a separate card reader, which gets linked to your mobile. Some mPOS are Revel Systems, Square and Shopkeep. This method of payment is increasing in usage at the moment, driven especially by millennials. All businesses today should offer a type of mobile payment: customers increasingly complete purchases on their mobile, and an effective way of paying for these via their phone is sure to make the experience quicker and easier, especially in the case of B2C businesses. Your target market should always be taken into account, however, and you should be aware that mobile payments are not successful everywhere. For instance, they are failing to take off in France, where they are only used for payments under 20 euros. Similarly, Germany doesn’t like to use this technology. On the other hand, mobile payments are growing in India, following an increase in smartphone users, and driven especially by the younger generation. As we have seen, additionally, some mobile payment methods are more appropriate for countries where credit card penetration is high, and others better suit developing countries. Make sure you do plenty of research in advance, and choose the most appropriate type of mobile payment for your website.